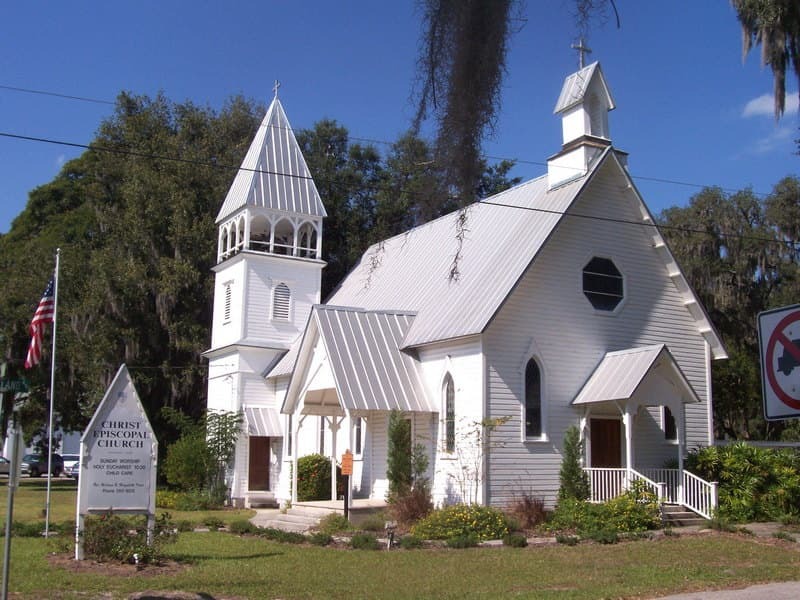 We discuss 39 Carpenter Gothic Churches on our website and also 4 other churches of special interest. 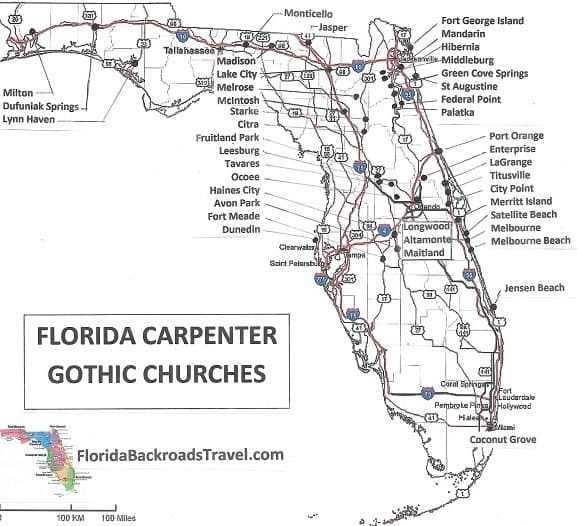 The map below shows the locations of these churches. 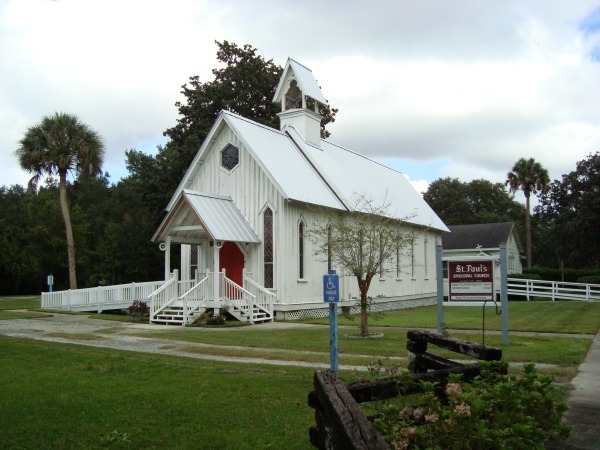 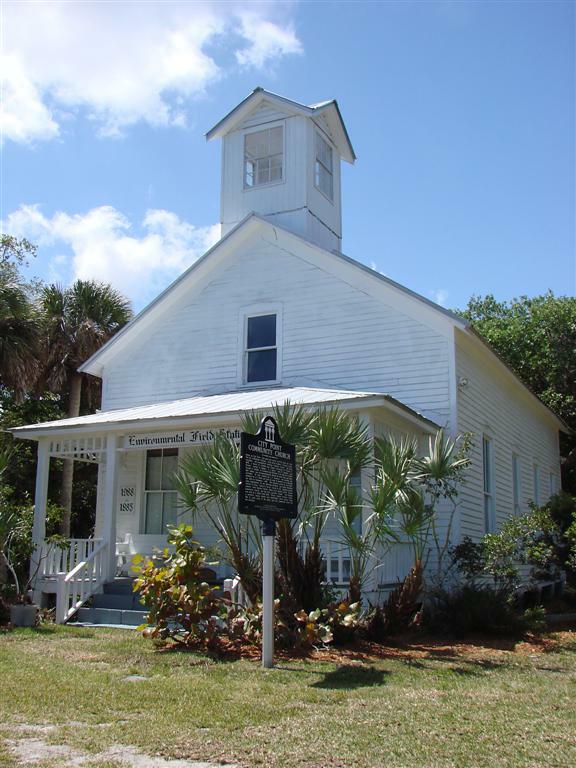 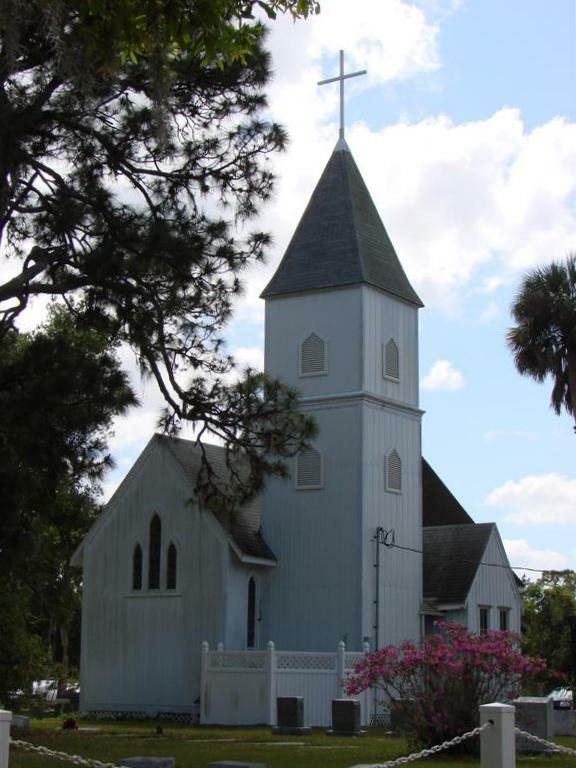 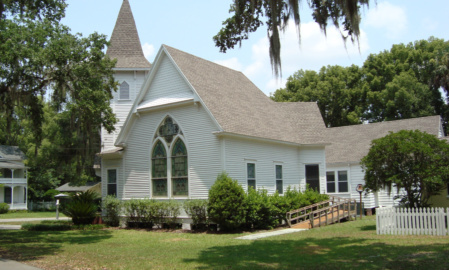 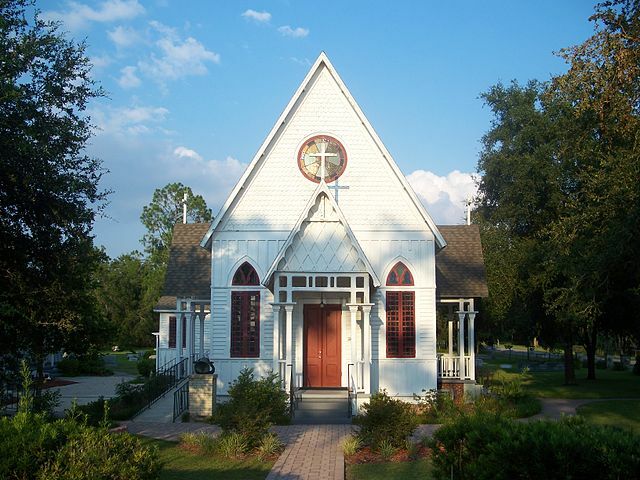 Florida Carpenter Gothic churches preserve the best of the state’s history and make great destinations for Florida day trips. 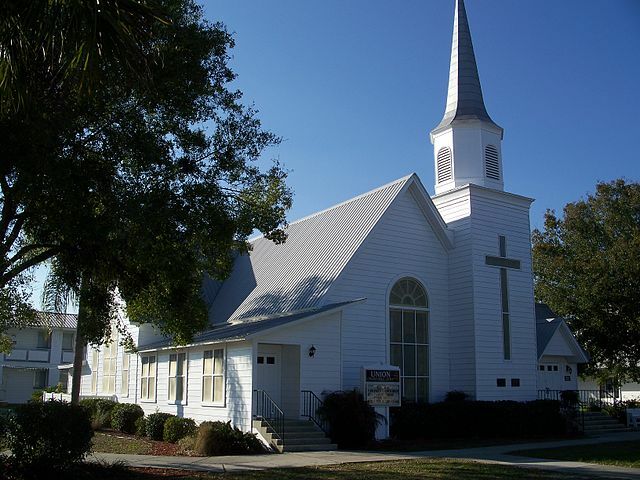 Most of the churches are still active and welcome visitors for Sunday service, and many have open doors during the week for the convenience of visitors. 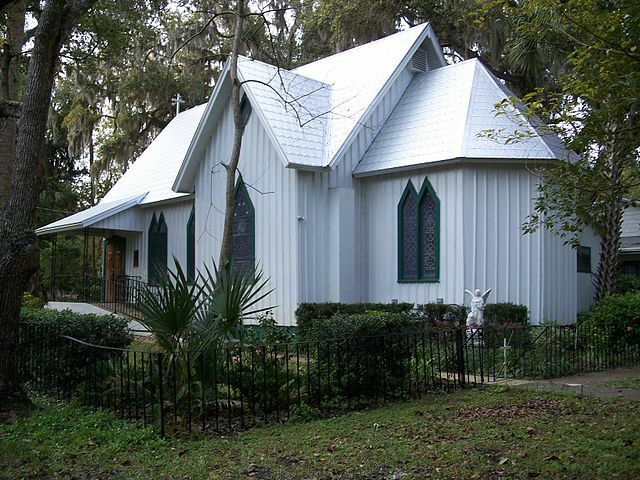 Carpenter Gothic is a style of architecture that involves architectural details on wooden structures that try to replicate features that were originally carved in stone. 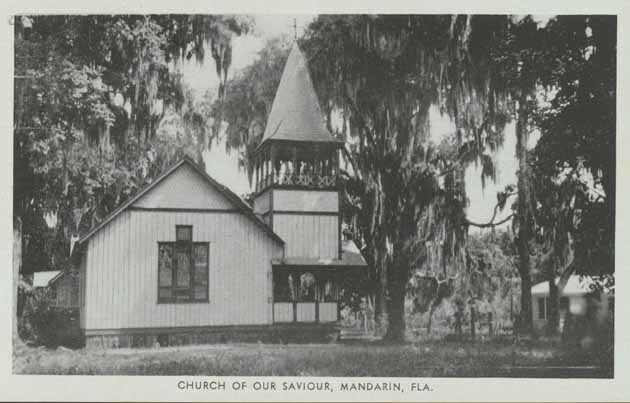 In the early days, Florida had plenty of timber – including durable Southern pine – and also an abundance of house carpenters. 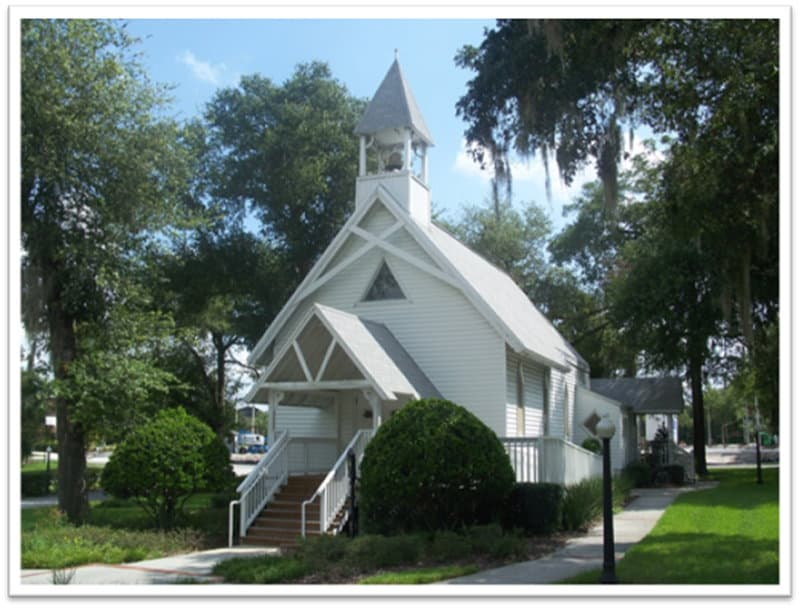 The style takes advantage of the skills of local designers and carpenters and quite often results in charming and nostalgic structures at far less cost than stone or masonry structures. 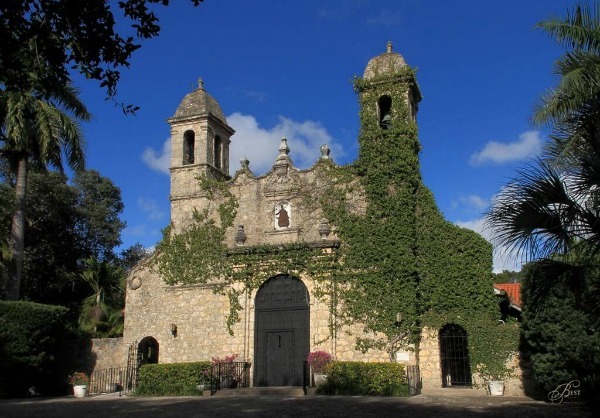 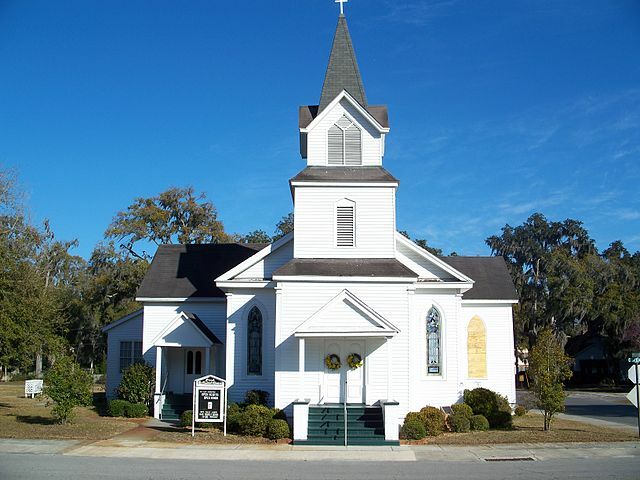 The churches on this website are organized by the regional geographic location of the towns where they are located. 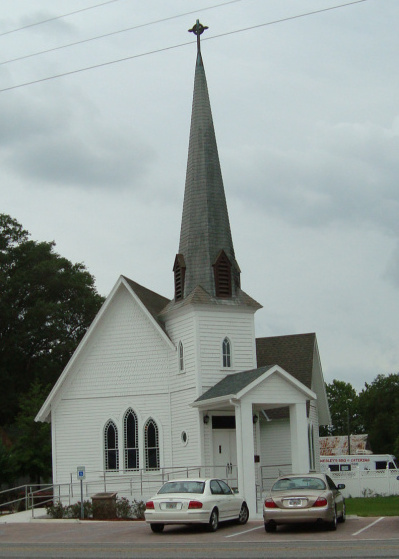 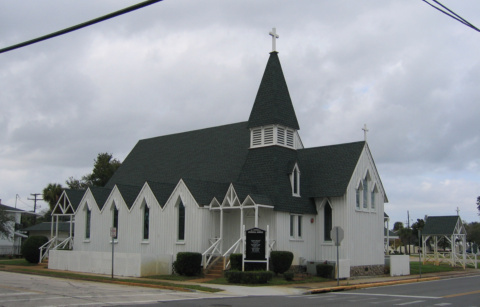 Most Carpenter Gothic churches in Florida were built between 1870 and 1900. 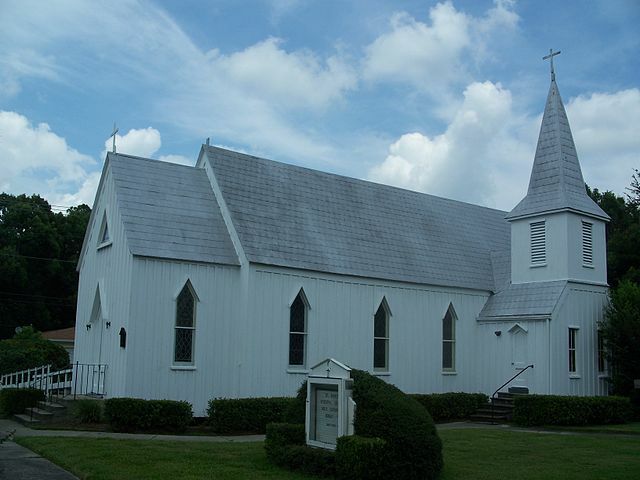 Some sources indicate there may have been as many as 80 of these churches across the state at one time. 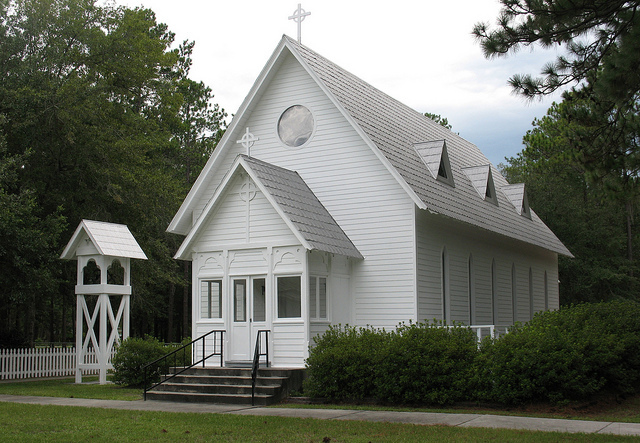 Among the features typical of Carpenter Gothic architecture are lancet windows and doors. 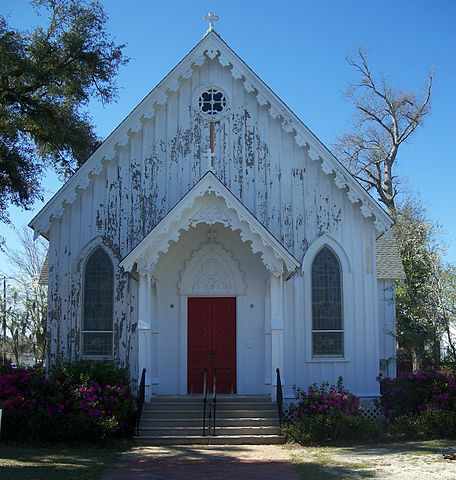 These are tall narrow openings with a pointed arch at the top making it resemble a lance. 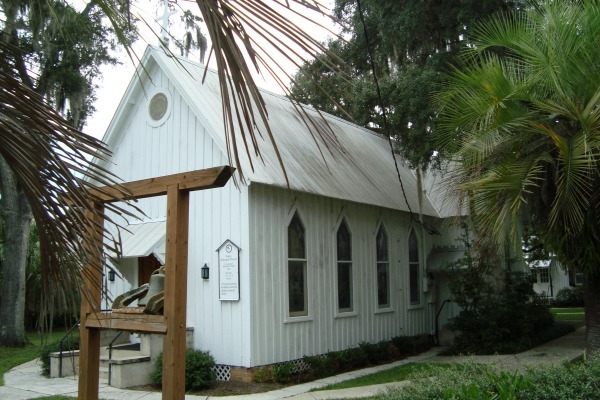 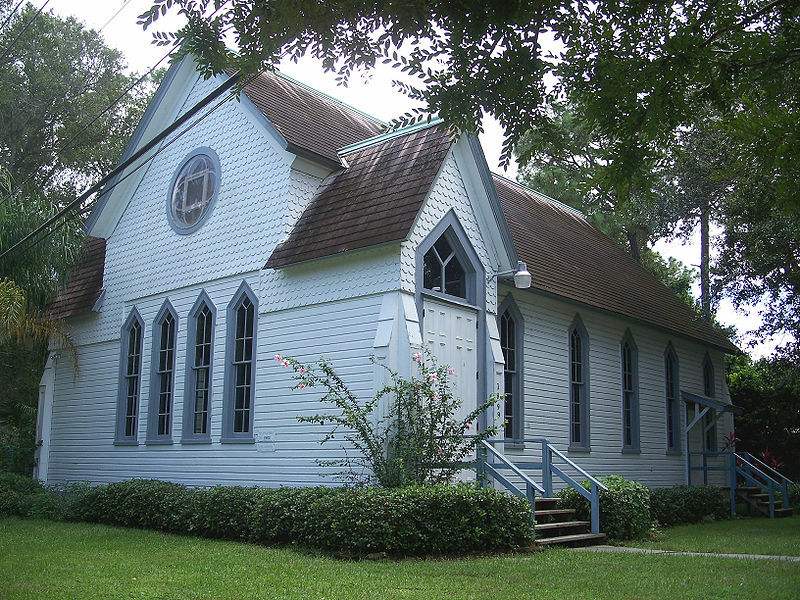 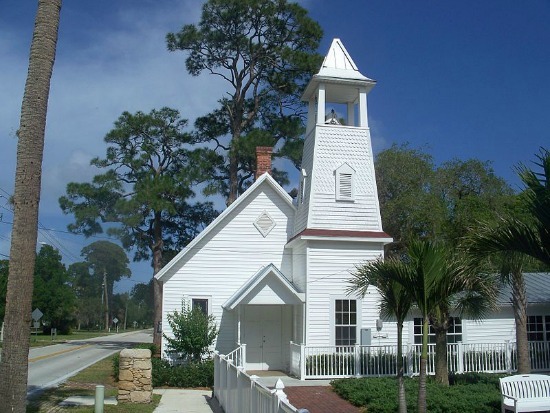 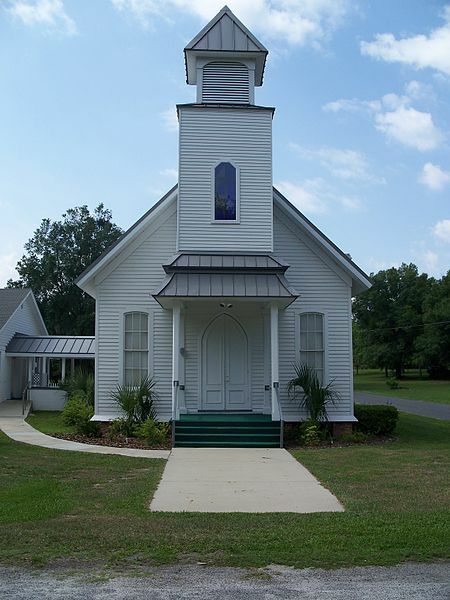 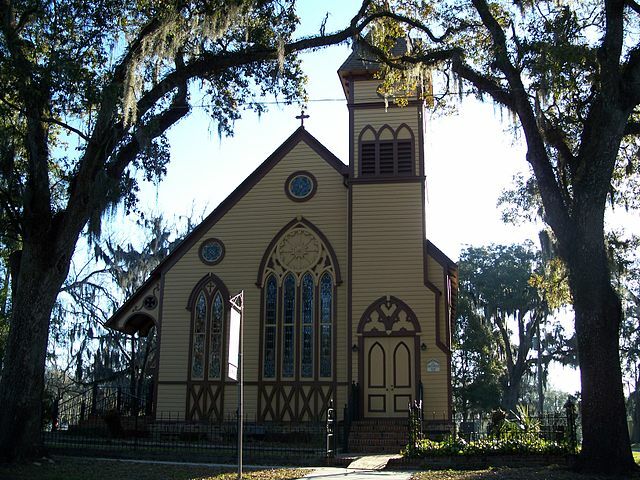 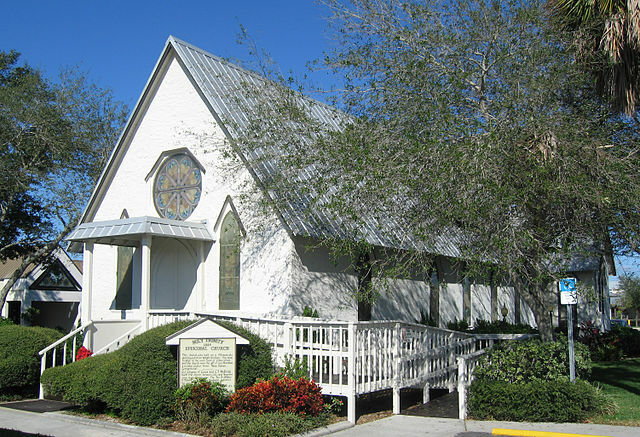 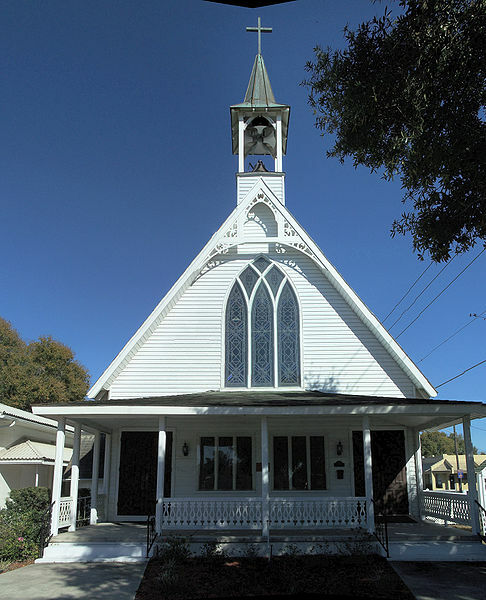 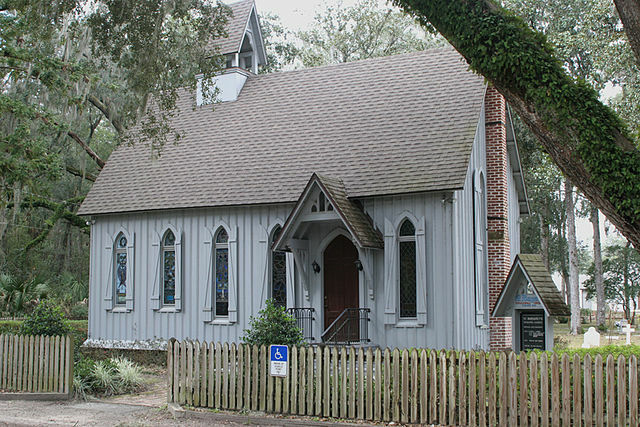 It is also common in Florida to see board and batten siding on these churches and pointed stained glass windows. 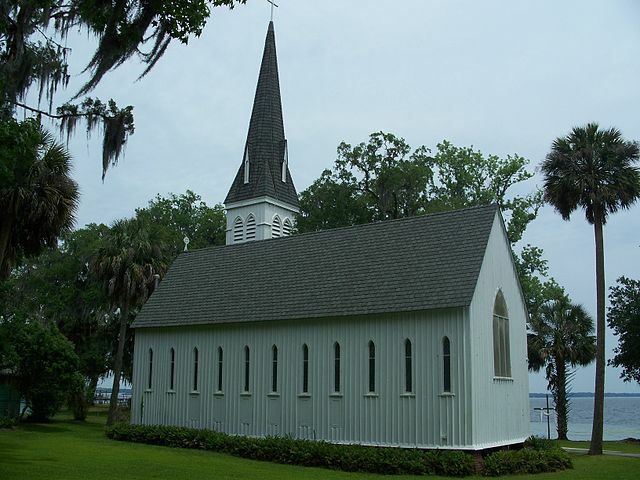 The churches were built using local wood including pine and cypress. 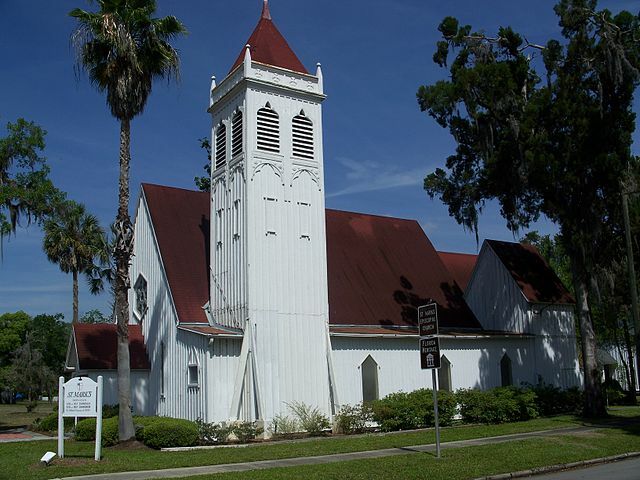 Most of the Carpenter Gothic churches in Florida were Episcopalian. 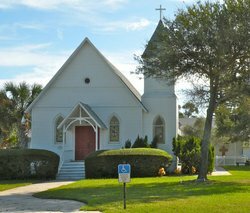 When you look at the church location map you will quickly realize that most of these old churches are in the northern regions of Florida. 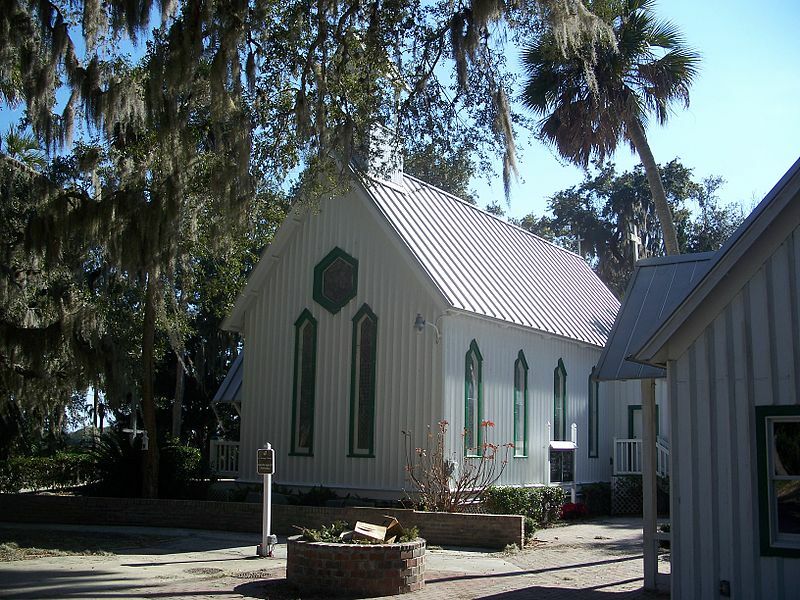 Florida’s development in the Civil War area began in north Florida where the people were. 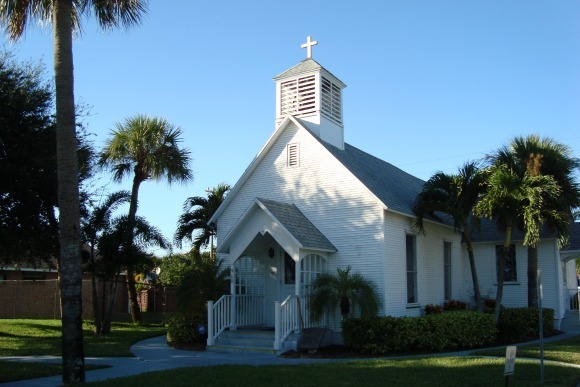 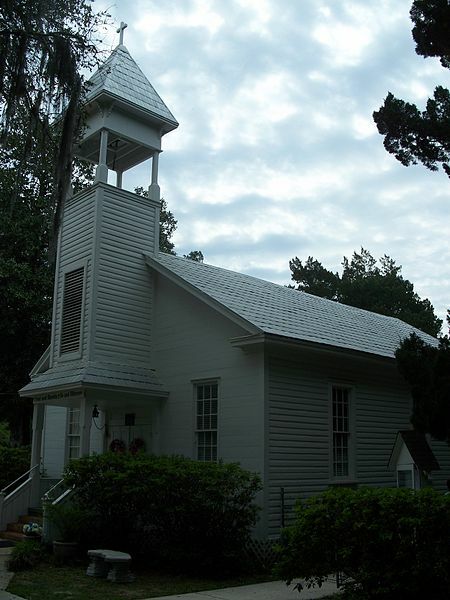 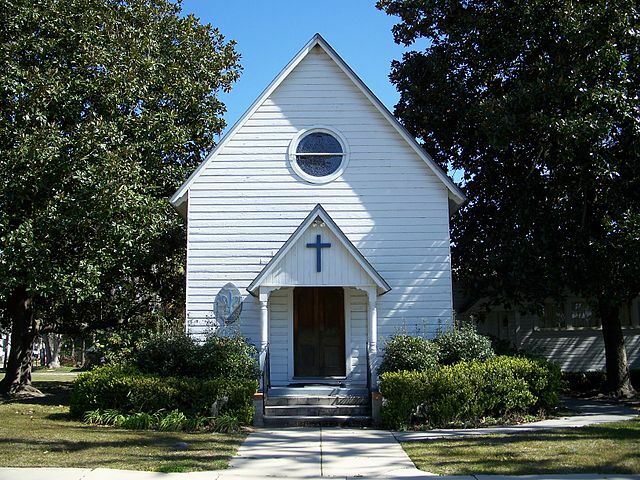 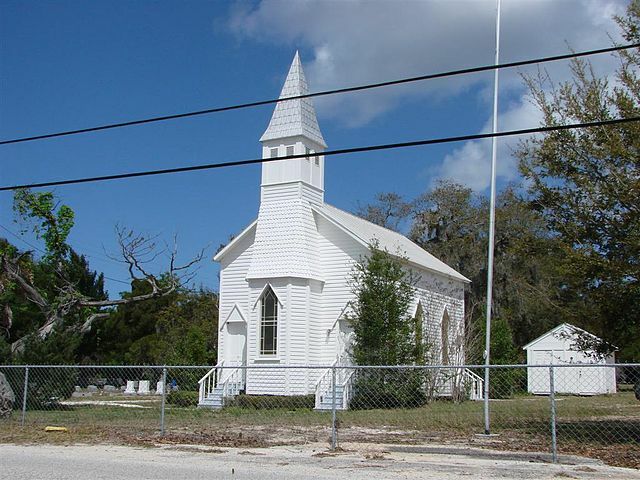 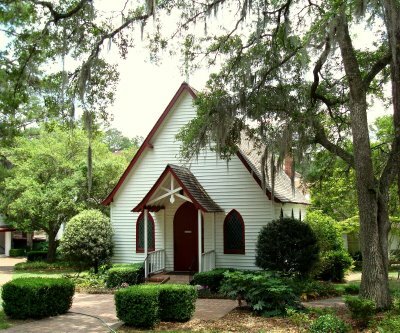 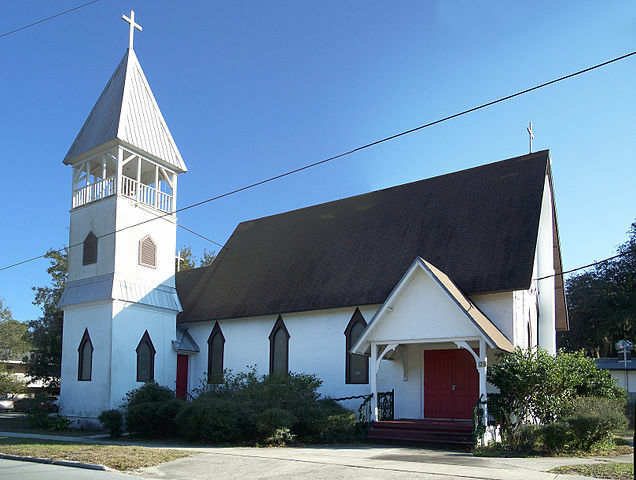 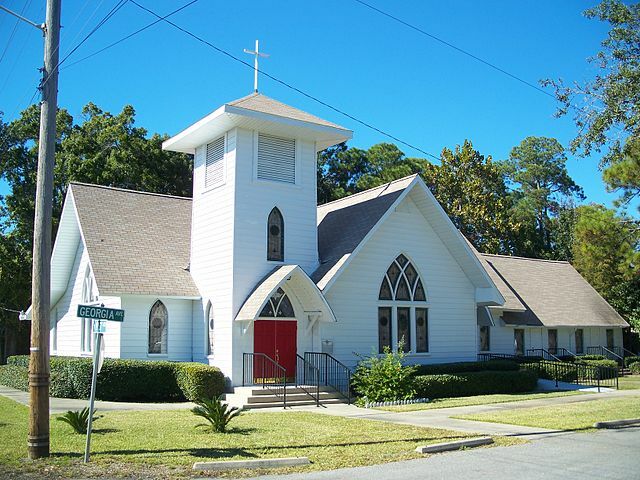 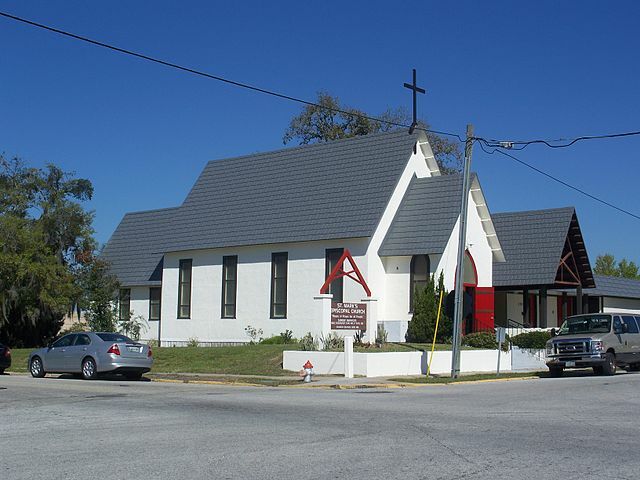 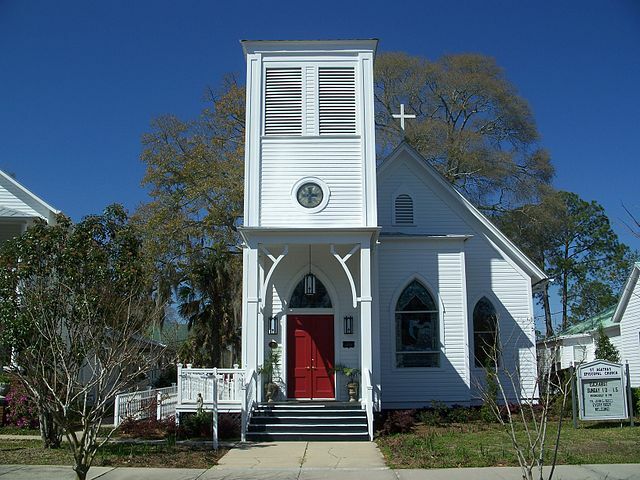 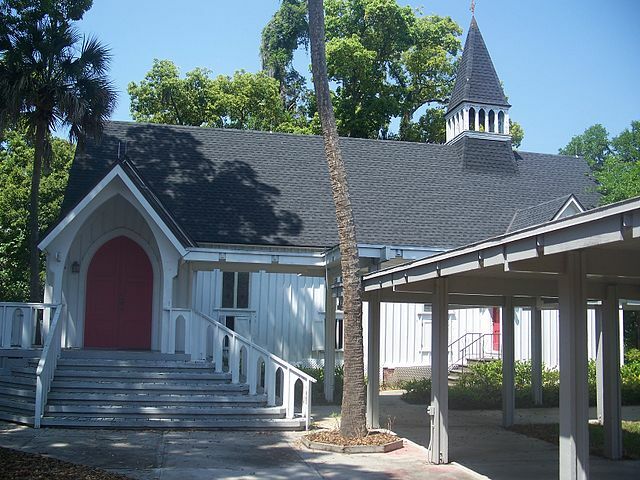 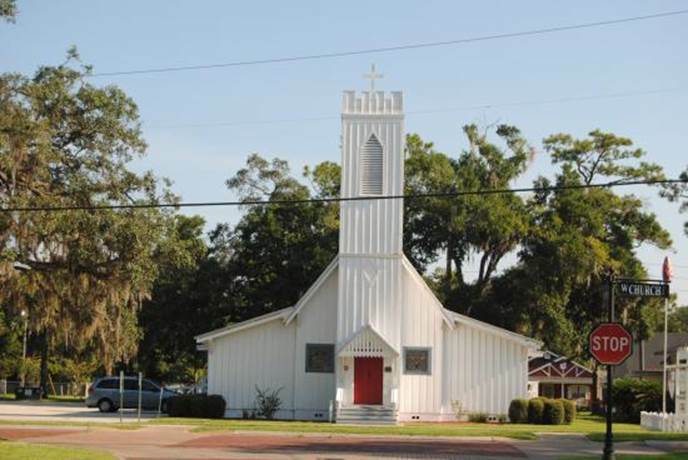 We also list four churches (marked by asterisk) that may not fit into any particular architectural category, but which are interesting and take you back into Florida history when churches were the center of community life. 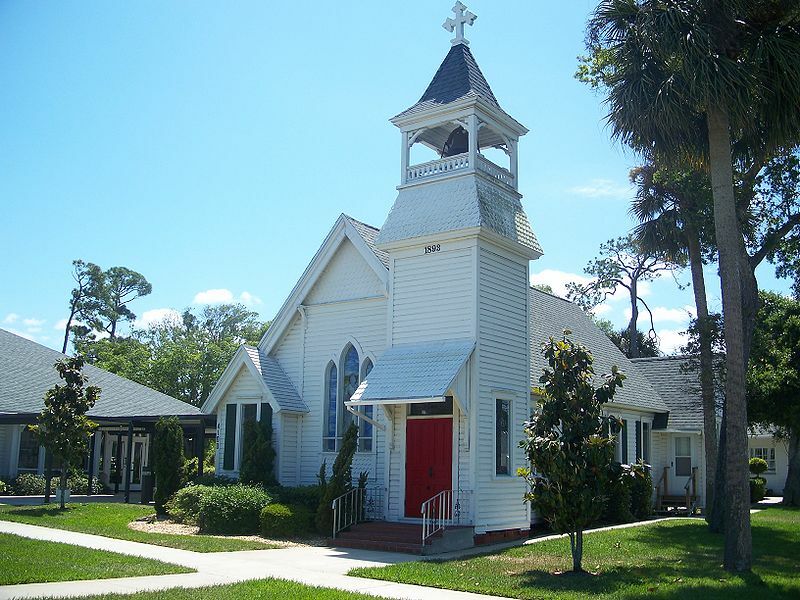 There are literally hundreds of such churches in Florida and we are only scratching the surface with the four that we discuss here. 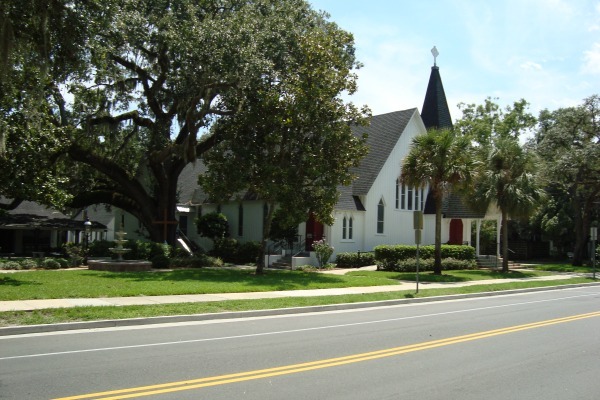 Even though this Presbyterian church in St. Augustine is not even remotely Carpenter Gothic, it is historically interesting. 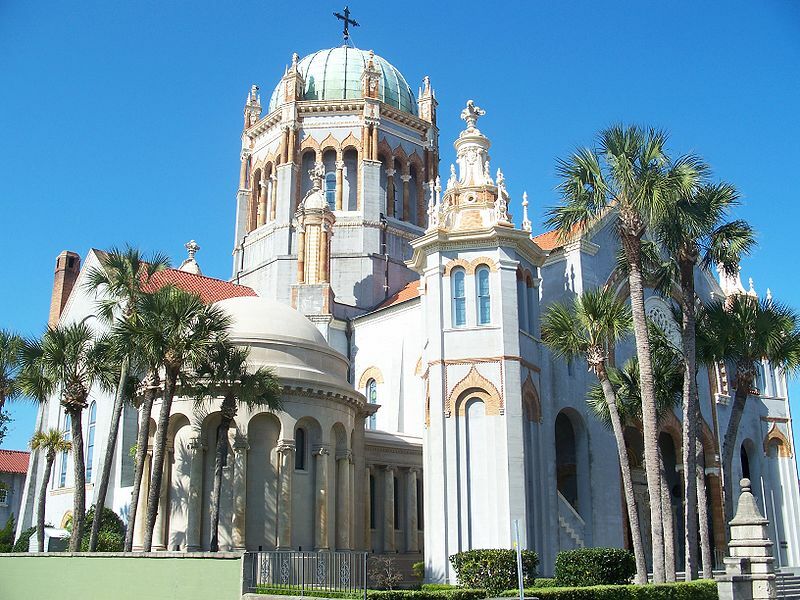 It was built by Henry Flagler, the railroad and hotel tycoon, who was the first big time Florida developer. 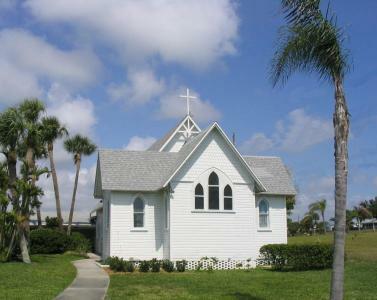 He is buried on the church grounds.